One Day. Four Sessions. Ongoing Success. 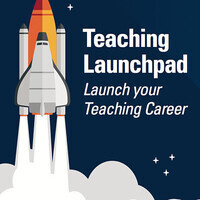 Boost your teaching to the next level when you attend Teaching Launchpad, sponsored by the Interprofessional Academy of Educators. Topics covered include: Course Development, Teaching Strategies, Assessment, and Educational Scholarship. All are welcome to attend. Register now at unmc.edu/academy. Questions? Call 9.9244 or email us.